With the congressional elections fast approaching, President Barack Obama acknowledged Saturday that the hope and energy he stirred during his presidential campaign may have faded in the face of a grinding economic crisis. “We’re doing the grinding, sometimes frustrating work of actually delivering change. I know it can be discouraging,” Obama told a crowd of 10,000 at an energetic rally at Boston’s Hynes Convention Center. 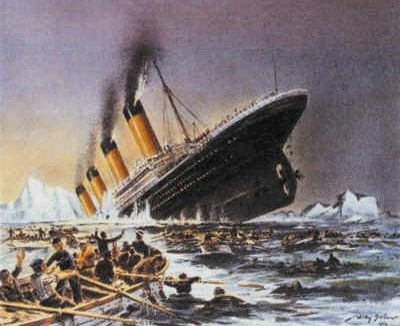 Yes, Captain, all will be well if no one gets discouraged… And that grinding sound… that’s the ship being torn to shreds. They are happy to destroy their own country, it seems, just to ensure that they have to work less… Crazy. Plus, if you look at the faces of these protesters you’ll notice that they are all kids! As if they were on the verge of working, much less retiring. I usually think that it’s American welfare recipients who are born with a sense of entitlement- but the French put them to shame. Glee’s ‘Kurt’ is Getting a Boyfriend? Apparently so. I’m probably the only person in the country who thinks that Glee is definitely heading in a propagandistic direction. For no reason, they’re really starting to ruin what last year was a great show. I don’t watch Glee because I want to see divergent lifestyles promoted. I watch it because it’s funny and engaging. Now, it’s just getting sad. Lately every episode has circulated around Kurt’s sexuality. I guess my days of watching are soon to be over. Danggit. Peter Jackson, who directed the Lord of the Rings trilogy, is going to direct The Hobbit. This should make James McGrath happier than a sailor in Thailand. In fact, I suspect we can now look forward to a blow by blow daily blog-a-thon of the entire process. Breaking news! They actually got Peter Jackson, of all people, to direct “The Hobbit!” What’s that? You already knew that? Like, from a year ago. No, no. That was a rumor. It was never confirmed. First it was Guillermo Del Toro, but he left. And then there was a labor dispute, but that’s been resolved. And then Jackson pretended to announce a series of movies he’d rather direct than have to plunge back down the rabbit hole of Tolkien nonsense, and then … ugh, forget it. Exhausting. On Judaisms- an observation. 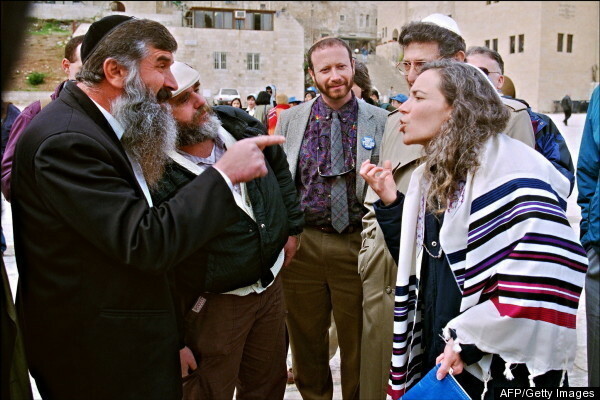 Judaism is not now, nor has it ever been, a monolith. Any more than Christianity. Jews in Jesus’ day argued as much among themselves as Jews of our day. This is why all talk of ‘the Jews’ or even ‘Jews’ requires extensive qualification and why New Testament scholars need to be much more careful in describing ‘Judaism’. The general population isn’t equipped to know which fragment of the many Judaisms are in mind when writers use the word ‘Jew’. 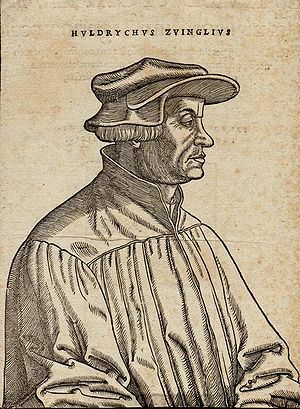 The Christians at Eßlingen were very interested in Zwingli’s Reformed theology but they had questions, since it overturned life-long held beliefs. So Zwingli wrote two letters of explanation, the second sent on the 16th of October, 1526. In it he expresses appreciation for them and admiration for their struggle to understand. The particular difficulty was, of course, Zwingli’s idea about the Supper. So he explained very briefly his concept. Apparently it was all they needed to know, because a third letter of explanation was never asked for. So true! Via Mark Regier on FB. Oregon State Police gave an 82-year-old woman a ticket for driving 28 miles per hour over her age and twice the posted speed limit of 55 mph. KVAL-TV reported a trooper spotted Marcia Brandon Chris Tilling’s car going 110 mph Thursday on Highway 26 west of Gresham. She said she was on her his way to an appointment and wasn’t aware she was going that fast. Brandon Tilling was given a ticket for $1,103. Slow it down Chris, slow it down. So the parents in Florida who were arrested for hosting a booze party for underage drinkers deserve whatever criminal prosecution they get. There’s such a thing as being too lenient of a parent. The mother and father of two teen sons were arrested after they allegedly threw a booze-fueled Homecoming bash at their $10 million Florida mansion for 500 of their kids’ friends, according to NBC Miami. The cops showed up at the 17,000-square-foot home in Boca Raton on Sunday after receiving a noise complaint. They said they found teenagers passed out in the front lawn and dozens of others vomiting in the streets. Paramedics treated several of the teens. Cops said they found the boys’ parents, Shlomo and Jeannie Rasabi, in their master bedroom. “I didn’t even know all these kids were here. They all brought alcohol into the house,” the 59-year-old father said when police asked him about the alleged underage drinking. The parents also insisted that their party was really a late afterparty for another party, and that the students must have gotten drunk before they arrived at the Rasabis’ home, according to the police report posted on The Smoking Gun. Idiots. First of all, they didn’t know the kids were there but the neighbors did? The kids brought all the booze? Who exactly is in control of the Rasabi house? Oh wait, I know, the kids are. Solomon, you’re an idiot. You certainly don’t live up to the image your name presents. The boys should be taken from their parents and put in foster care or with another, actually responsible, parent. And the Rasabis should spend many years in prison for hundreds of counts of child endangerment and contributing to the delinquency of minors. With parents like this ‘raising’ kids, no wonder kids are so messed up and grow up to be such messed up drunken drug abusing adults.